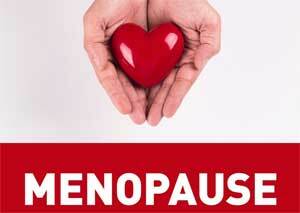 The menopausal transition is associated with accelerated progression of atherosclerosis in women. According to new research appearing in the Journal of the American Heart Association, A healthy lifestyle during the transition to menopause may offset the acceleration of atherosclerosis and increased risk of heart attack. Cardiovascular disease (CVD) is the leading cause of morbidity and mortality in both women as well as men. It is also known that women experience a steeper increase in CVD risk during and after the menopausal transition relative to before menopause. In the Study of Women’s Health Across the Nation (SWAN) Women aged 42-52 were made to participate and were evaluated using a 10-year “Healthy Lifestyle Score,” developed for this study. All the participants had annual medical exams and completed questionnaires about their physical activity, eating habits and tobacco use. In addition, participants had at least one coronary artery ultrasound, which is a non-invasive test that provides images of the inside of an artery leading to the heart. The researchers found that as compared to women with the lowest ”Healthy Lifestyle Score,” those with the highest scores had significantly wider arteries, less arterial thickening and buildup of fatty plaque. The risk factor most associated with unhealthy arteries was smoking tobacco. A healthy lifestyle during the menopausal transition is associated with less subclinical atherosclerosis, highlighting the growing recognition that the midlife is a critical window for cardiovascular prevention in women. “Midlife is a crucial window for women to take their cardiovascular wellness to heart and set a course for healthy ageing. The metabolic changes that often occur with menopause, especially increases in cholesterol levels and blood pressure, can significantly increase the risk of heart attacks, strokes and cognitive impairment later in life, said Ana Baylin, M.D., Dr.P.H., an associate professor of nutritional health sciences and epidemiology at the University of Michigan School of Public Health, in Ann Arbor, Michigan. The study also notes that only 1.7 per cent of the study population adhered to the three components of the “Healthy Lifestyle Score” throughout the study. The study highlights the growing recognition that the midlife is a critical window for cardiovascular prevention and protection from a heart attack in women. The high point of the study is that prevention of future cardiovascular disease like heart attack among women undergoing the menopausal transition should focus on modifiable health behaviours including smoking, diet, and physical activity.